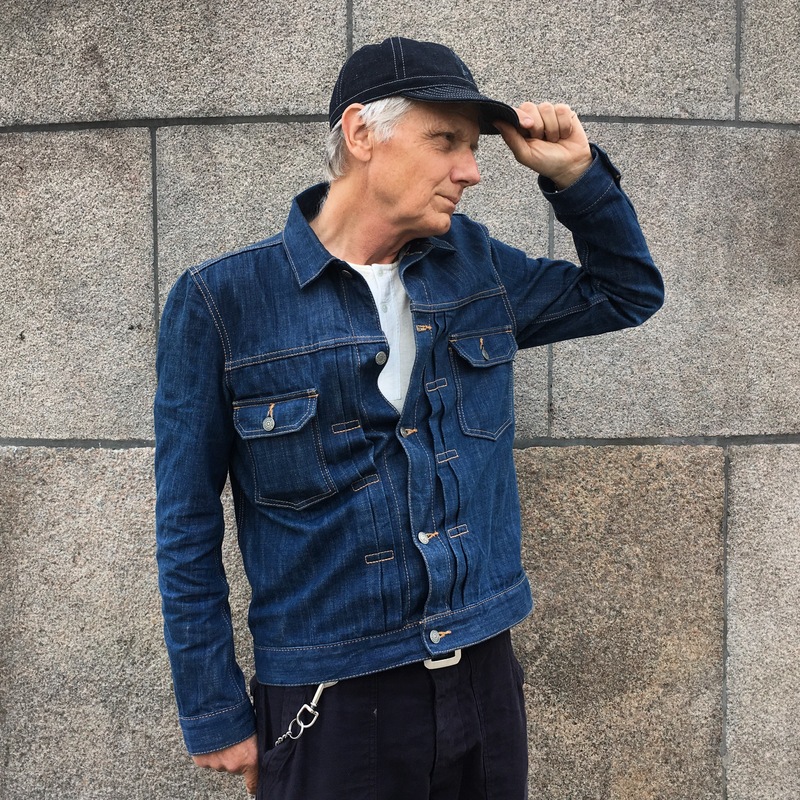 My name is Svante Nybyggars (the family name means Newbuilder in English) and I’m a former copywriter who changed lifestyle when I turned 60. Then wanted to return to my roots. My ancestors were fishermen and small farmers. My father fought in World War II. This is the background to my current style as @theurbanhippieswe on Instagram. My motto is aging with energy and style. The M65 was used by the Americans in Vietnam and is also known from several movies: Robert De Niro in Taxi Driver, Al Pacino in Serpico and Mel Gibson in Lethal Weapon. I’ve always liked the model. Think it is masculine. Also good with many pockets. So when The Real McCoy’s opened in London, I went there and got this replica. In my opinion, McCoy’s makes the best replica of all brands. 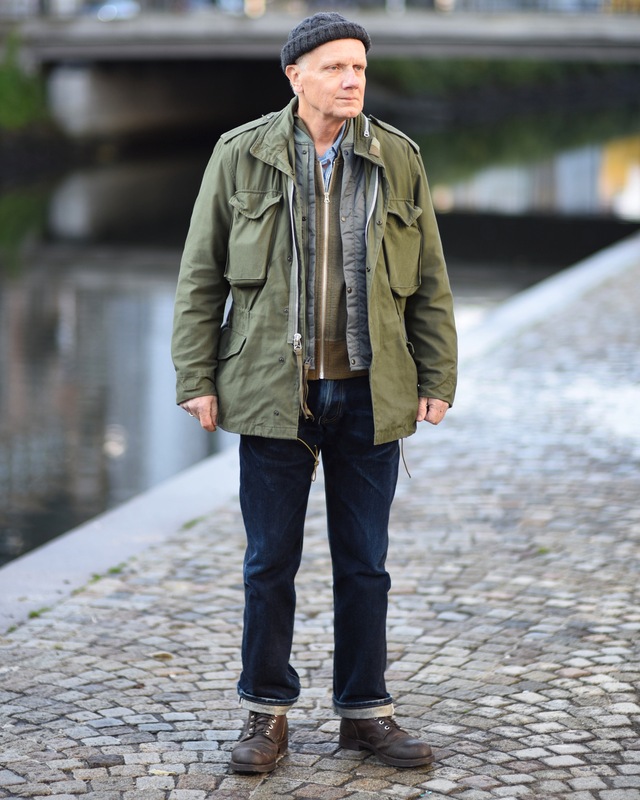 I would love to have an original M65 jacket, but it is hard to come by, especially in Sweden where I live. I have several denim jackets but could not resist this from Pure Blue Japan when I saw it at Rivet and Hide in London. It is indigo dyed by hand and are brighter than most other denim jackets. For a long time I bought jackets that were too large, thought they would be comfortable, but with this, I have found the right fit. What I like about Japanese jackets is that they are not necessarily Western-influenced, they are workwear in a different way, and it suits my sense of aesthetics. Front pockets are also good for the wallet and eyewear. I hesitated a long time before I decided do get this jacket. Should it give the wrong appearance of a man at my age? Would I feel uncomfortable when I was in town? Fortunately I took the decision to buy it and now it feels really cool. 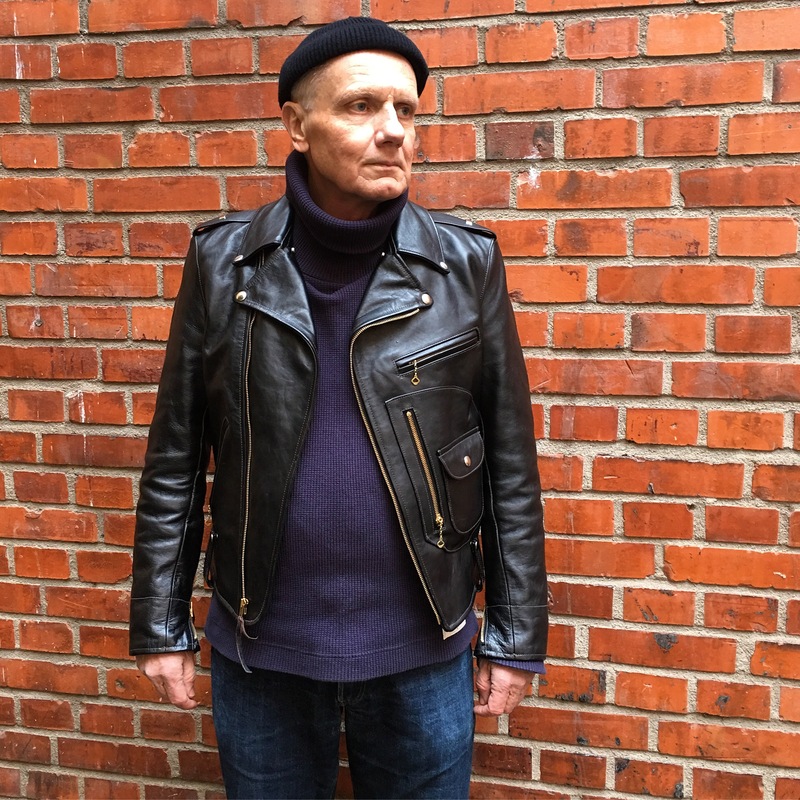 Since I do not drive a motorcycle, I match it with garments that looks not so much biker. The jacket is from The Real McCoy’s, and costs pretty much. An investment for life. It definitly is. Very high quality, as most of the garments from McCoy’s. Thanks very much to Svante for this great selection, follow him on Instagram under the username: @theurbanhippieswe.